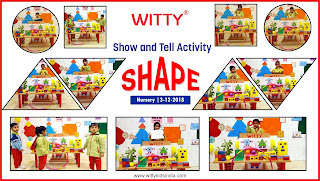 Understanding shapes will enable children to be more in tune to the world around them and see the connections between objects because their world is full of shapes. 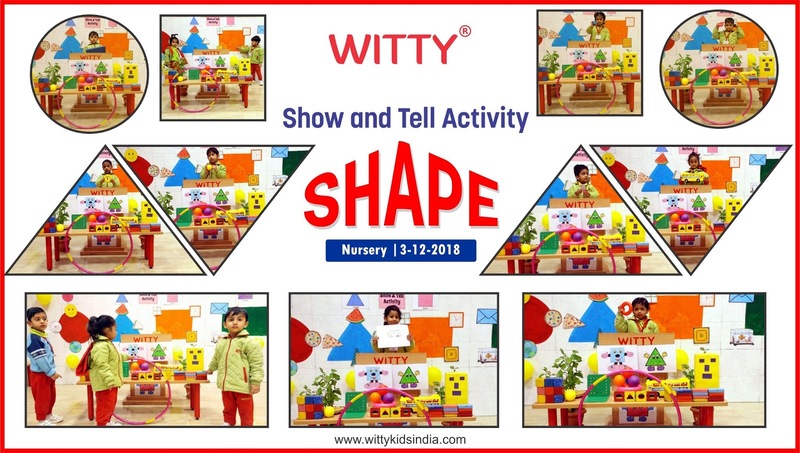 On Monday 3rd December, 2018 little toddlers of Nursery at Witty International School, Udaipur did a recap of shapes through ‘Show and Tell’ activity. Children brought different shaped objects and placards along with them. A corner of the class was decorated with various flash cards of shapes. They tried to identify and speak about the shape of the object or toy brought by them. Children enjoyed watching shape slides with their peers. It was a fun-filled day for little ones.